Real PRs, journalists, celebrities and two of the UK's best loved pretend PRs took to the red carpet last night as Absolutely Fabulous: The Movie premiered in London. 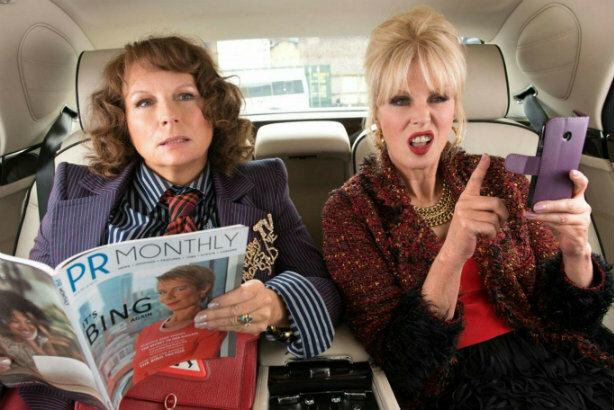 Starring Jennifer Saunders as PR Edina 'Eddy' Monsoon and Joanna Lumley as Patsy Stone, the film hits UK cinemas tomorrow. PR for the movie is being handled by Freuds. While Ab Fab is frequently cited as misleading the public as to what the PR profession is really like, a number of comms pros were at the premiere, as were some of those making cameo appearances, and a number of the brands involved – including, of course, Stolichnaya Vodka. Entertainment PR Simon Jones, whose former agency worked for One Direction, was there with two celebrity clients. For the avoidance of doubt #scotpapers - real life #PR is NOT like #AbFabMovie! But in testing times for the UK, the film's irreverent and outrageous humour should prove popular. Between @Willbomb90's brave 6-0 6-3 6-4 defeat & the #AbFabMovie premiere, two political parties tear themselves apart. Brilliantly British. The Times calls it a "hilarious antidote to reality right now". PRWeek – a monthly mag as of a couple of years ago – is not sure what to make of the fact that Monsoon is seen reading a copy of the (fictional) PRMonthly magazine in a scene from the film.